Toughest Saw On Earth. 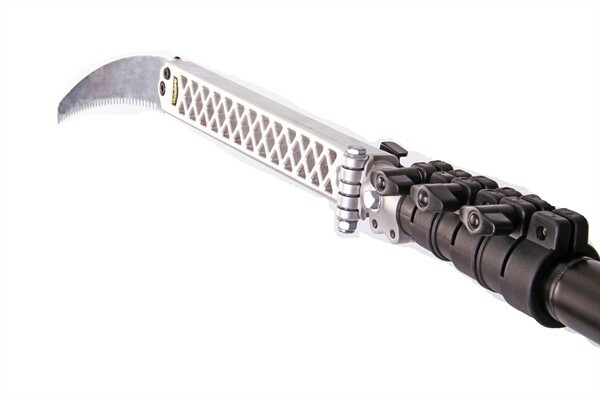 The rugged cast aluminum saw head and hinge design makes for a strong yet light saw. 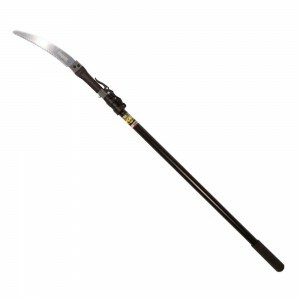 The curved style arborist blade cuts smooth and fast through all types of trees and wood. The rugged hinge design allows for super-compact packing. Zero slop hinge lock incorporates heavy duty hardware and innovative rubber compression pad to eliminate slop or movement in the pole saw head. Fail safe blade lock design. Blade adjustment screw eliminates blade slop for maximum cutting efficiency. 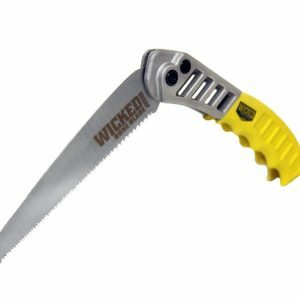 This Saw is unbeatable period!!! Toughest Saw On Earth. The rugged cast aluminum saw head and hinge design makes for a strong yet light saw. 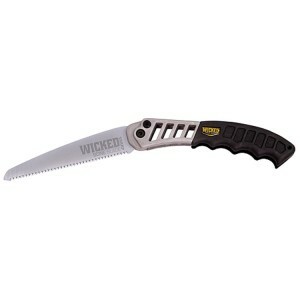 The curved style arborist blade cuts smooth and fast through all types of trees and wood. The rugged hinge design allows for super-compact packing. Zero slop hinge lock incorporates heavy duty hardware and innovative rubber compression pad to eliminate slop or movement in the pole saw head. Fail safe blade lock design. Blade adjustment screw eliminates blade slop for maximum cutting efficiency.